Depression is a psychological and physiological state indicated by a chemical imbalance in the brain. Everyone will most likely experience some level of depression in their lifetime. Most of us can manage it and “self cure” ourselves. But for some, who feel constantly sad, a sense of hopelessness, discouraged, unmotivated or disinterested for over 3 weeks or more, these feelings interfere with our daily activities. These can turn into major episodes of depression. Acupuncture stimulates the natural production of brain chemicals such as dopamine and endorphins which function like natural pain killers, tranquilizers and antidepressants for us. Acupuncture also promotes the internal organ’s energy flow, remove toxins from our body and restoring general well-being. In Dr. Liang’s two decades of providing acupuncture and Chinese herbal medicine treatments, she has helped many patients walk away from mild or moderate short term depression. She states that that the depression in many instances is most likely the result of prolonged anxiety. So if patients experience certain symptoms like worrying, headaches, insomnia, and/or anxiousness, they should seek professional help immediately. Acupuncture and Chinese herbal medicine is very effective in treating those symptoms and will bring your body back into balance. For severe case of depression, Dr. Liang recommends that patients take antidepressant medicine. However, they should keep an open mind to having acupuncture and Chinese herbal medicine treatments to maximize the effect of treatment and minimize the side effects of the medication. Acupuncture and Chinese herbal medicine can work in junction with other treatments! Acupuncture and Chinese herbal medicine is a great option for many depression patients. Those ancient treatment techniques bring balance back to patients, make them strong, improve the general health, and make people happy and positive. 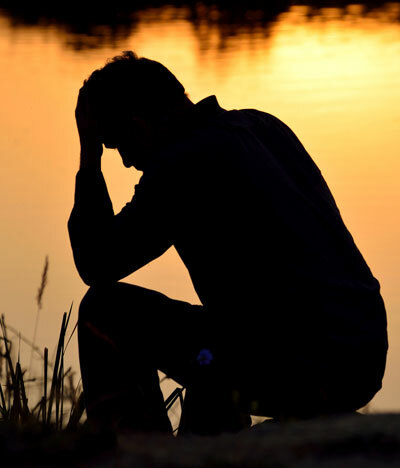 If you suffer from depression, please make a phone call to consult with Dr. Liang at (212) 779-0468.